news The Federal Government’s two centralised IT decision-making agencies have buried the hatchet in their cold war over which content management system will be used for Canberra’s 1,500-odd websites, announcing plans for the govCMS platform to be used for the new GOV.AU project. A public alpha of the Digital Transformation Office’s GOV.AU project was unveiled several weeks ago with substantial pomp and fanfare by Assistant Minister to the Prime Minister for Digital Transformation, Angus Taylor, in company with DTO chief Paul Shetler. The model is a replica of the similar GOV.UK platform already implemented in the UK, and is slated to eventually see up to 1,500 Federal Government websites shut down and integrated into the one centralised platform. However, as Delimiter reported and further investigated, the GOV.AU model has seen substantial criticism from within the Federal Government, with many public servants seeing it as substantially inferior to the govCMS model it is replacing, as well as technically limited. It is believed that the current GOV.AU model will not allow the full functionality of some departmental and agencies websites to be migrated across. To address the criticism, the DTO has since broadened the consultation process around GOV.AU. And last week, Shetler and Federal Government chief technology officer John Sheridan teamed up in a joint blog post to announce that govCMS would form the underlying framework for GOV.AU. In the post, Shetler said GOV.AU was “not a technology solution” and “not a replacement for other technologies”. Instead, Shetler described GOV.AU as “a service design approach”. However, Shetler’s statement appeared to be inaccurate based on the previous definition of GOV.AU. Much of the concern around the GOV.AU project from within the Federal public sector has centred on the fact that it has been slated to replace govCMS as a foundational CMS project for Federal Government websites. In the same statement, Shetler appeared to clarify the definition by noting that “govCMS is the technology solution that will underpin the GOV.AU Beta and will be the platform used by agencies to author and prepare content for the site”. Sheridan said agencies already using govCMS had “already started the journey to change”. “While moving to GOV.AU will require extensive work around user research, design, and content reduction and improvement, you’re already using the best available content managment platform,” he told govCMS users. He advised govCMS users not to stop any progress in re-platforming their existing sites to govCMS. “Keep going, because GOV.AU will be designed to use the content stored in govCMS, and govCMS will be a part of any end solution,” Sheridan said. Shetler said the DTO was taking steps to explore the integration of the two projects, such as: Exploring how the DTO could use the API-enabled content hub feature in govCMS to publish information to GOV.AU; planning to more widely adopt design patterns coming out of GOV.AU Beta’s development work; and creating better connections across the broader public sector community so when the time comes for change, “we can share the load and tackle challenges together”. This is a very welcome move for the govCMS and GOV.AU projects. It immediately ends a significant amount of the uncertainty around these two projects and their future. I applaud Shetler and Sheridan for taking this decision. 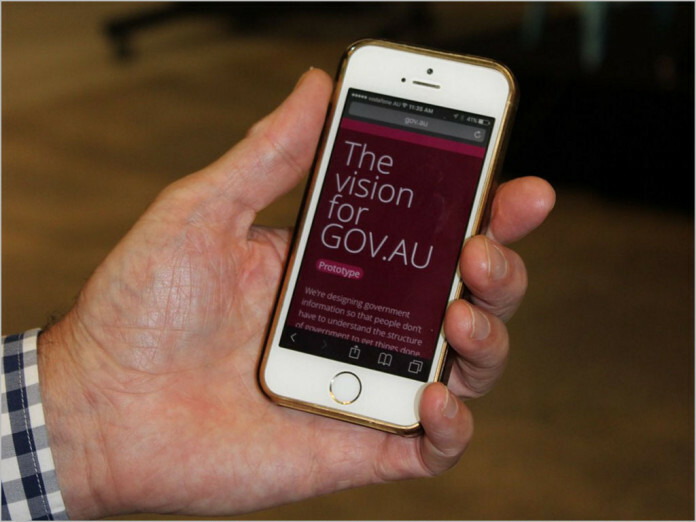 At a basic level, GOV.AU is a project that involves amalgamating hundreds of government websites into a single overarching website. It does not appear at present that each individual agency or department website will be separately administered by their owners — they will be part of the same overarching system. But individual department and agency websites are currently incredibly complex, and the GOV.AU framework is very far away from being able to handle that complexity yet. Then too, what does Shetler’s statement about API support really mean? I’m not sure how API support could work with GOV.AU, when the whole shebang is just one huge website. However, it’s the bigger picture here which is important. What the DTO has shown here is that it is open to change and to changing its approach based on the needs of the public sector and the evidence before it. This is an intensely valuable thing. If the DTO is able to be responsive and agile on big issues such as how to deal with govCMS, we can have confidence that it will also be able to deal with smaller issues (such as the ones I mentioned above) in an effective and efficient manner. It’s not often you say this about government IT projects … but this blog post fills me with confidence :) Kudos to Shetler and his team. FailCMS 3000 – Validating your employment by empowering incompetence since 2016.